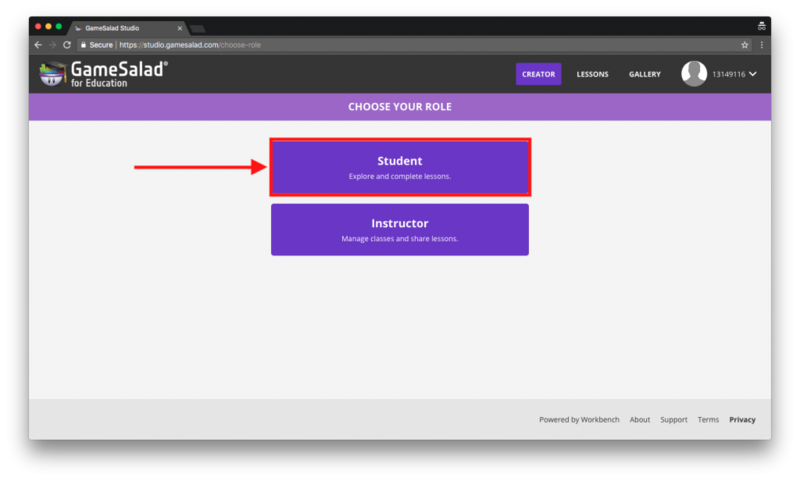 This guide will walk you and your classroom through the process of getting started with GameSalad Studio by signing in with your Google accounts. 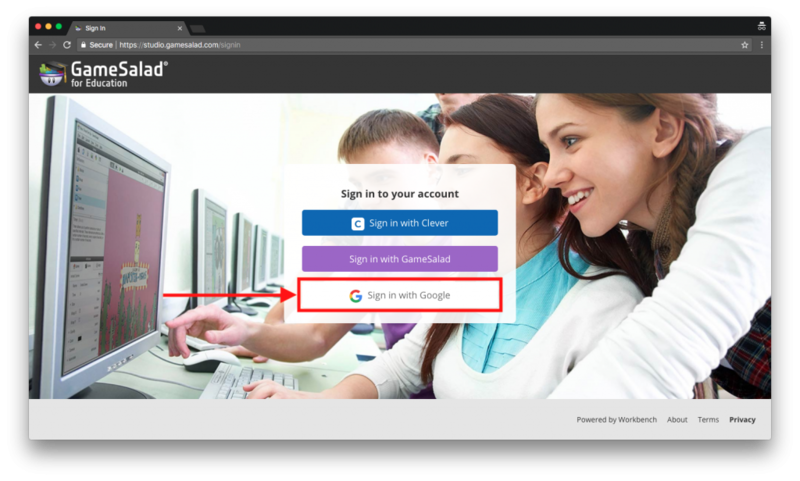 Note: Teachers will use the Sign in with GameSalad option using their provided GameSalad account, while students will use the Sign in with Google option. 1. 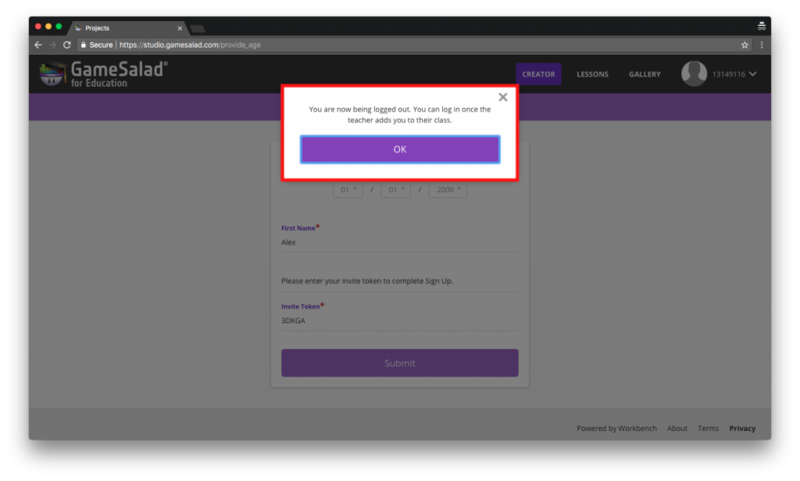 Head to https://studio.gamesalad.com and click the Sign in with GameSalad button. 2. Fill in your provided GameSalad credentials and click the login button. 3. 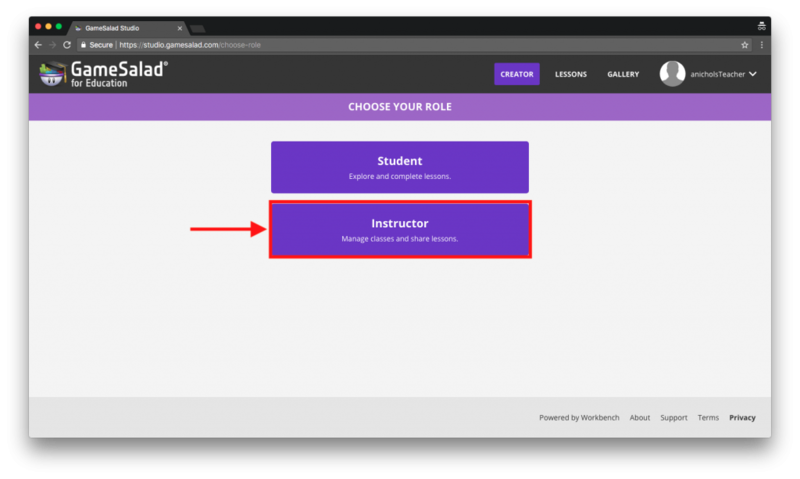 Click the Instructor button to create an instructor account. 5. Under the Classes menu at the top, select the Students option. This is where you can manage your GameSalad Studio classrooms. 6. Click the Add New Class link to create a new class. 7. Provide the class name that you want, and click the submit button. 8. Repeat the process above to create the number of classes that you need, but don’t add any students to them yet. That will be taken care of when your students sign in with Google. 1. 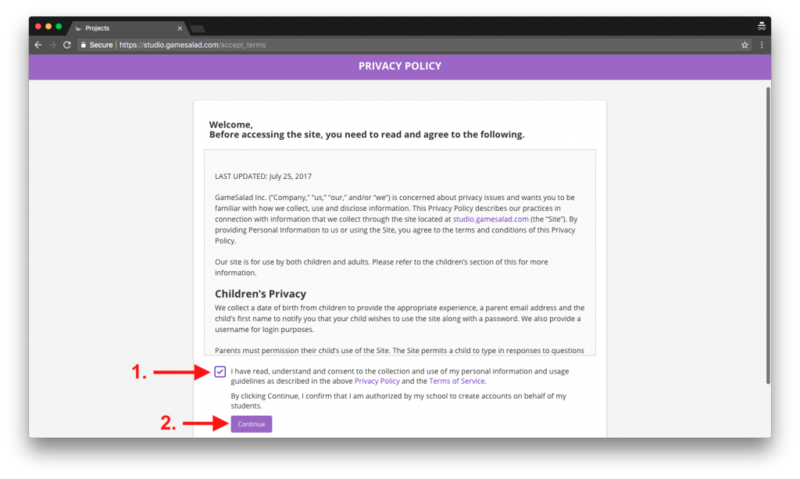 Head to https://studio.gamesalad.com and click the Sign in with Google button. 2. 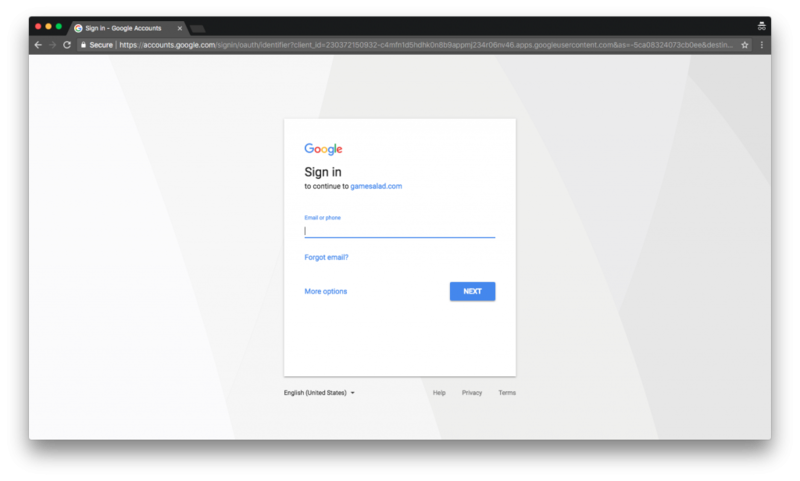 Fill in your Google email and password (note: you may not need to do this if you are already signed in to Google). 3. Click the Student button. 4. 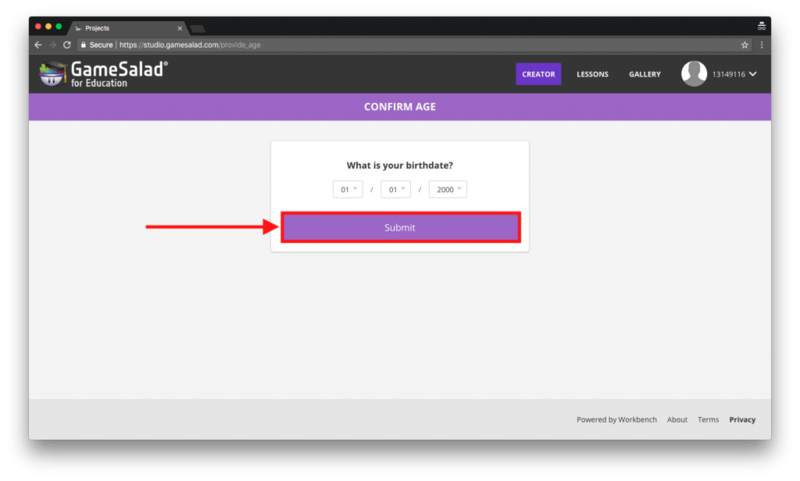 Fill in your birthdate and click the submit button. 5. 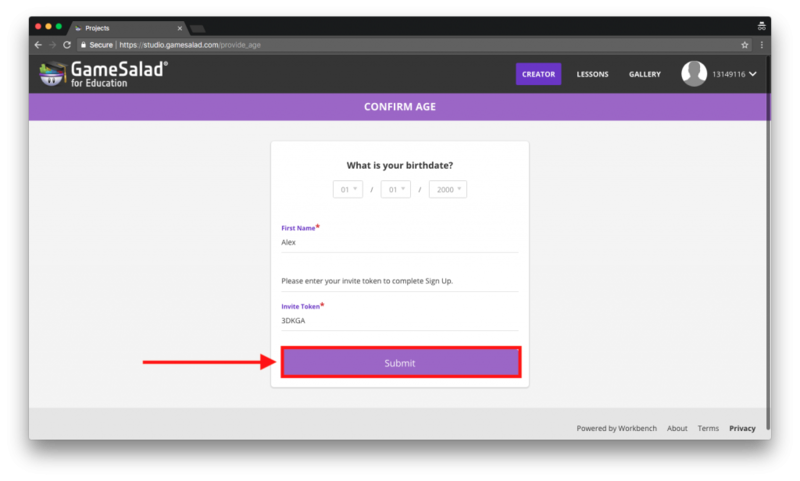 From here you’ll be prompted for your first name and an invite code (which your teacher can find through the following steps). 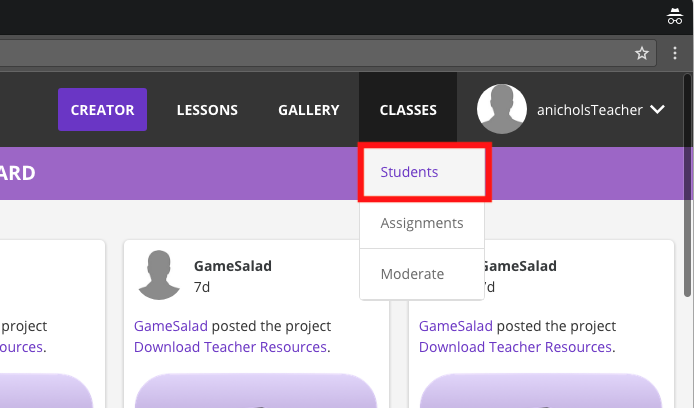 To find the invite code for your students, head to the GameSalad Studio student and class overview page (https://studio.gamesalad.com/family). 9. Select the class on the left that you want to invite students to, then click the ellipsis button in the upper right of the class list. 10. Select the invite students option from the dropdown that appears. 11. The invite code will pop up for that specific class that you can then share with your students. 6. 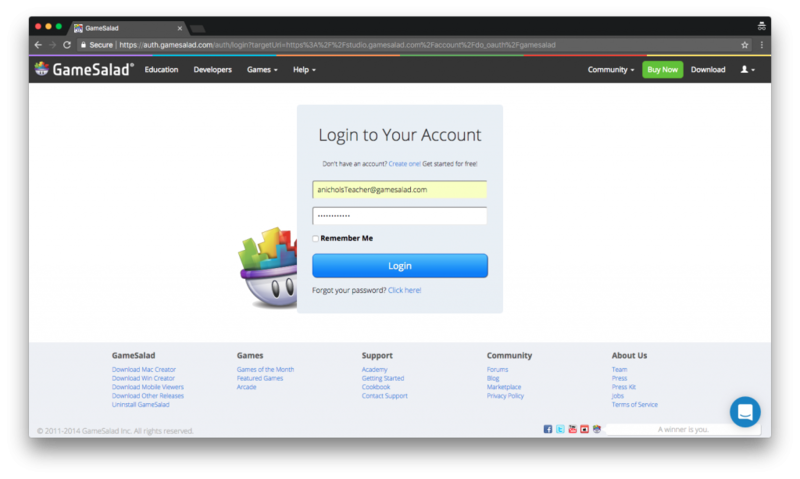 After you’ve filled in your name and the invite code provided by your teacher, click the Submit button (note: you will be logged out while your teacher adds you to the class). 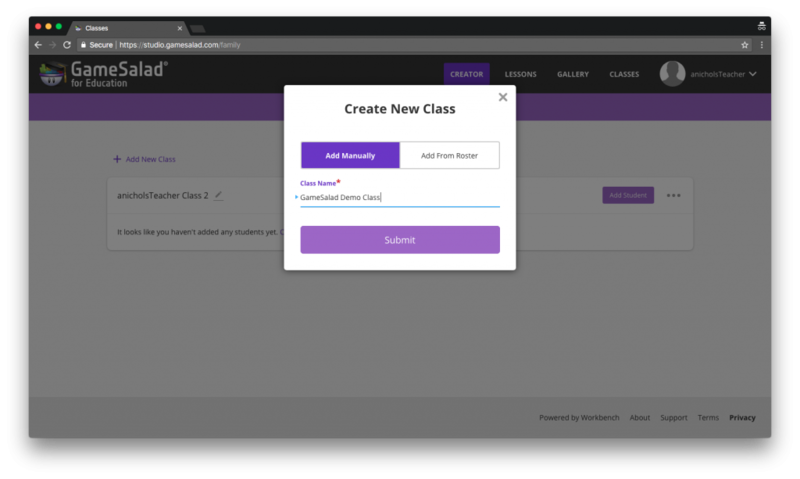 Once the students have been logged out, refresh the student/class overview page (https://studio.gamesalad.com/family) and you should see a notification across the top prompting you to review and approve the students that are trying to join your class. 12. Click the Review Requests link. 13. Verify that the students trying to join the class are your students. Then click the Select All button, followed by the Accept button. 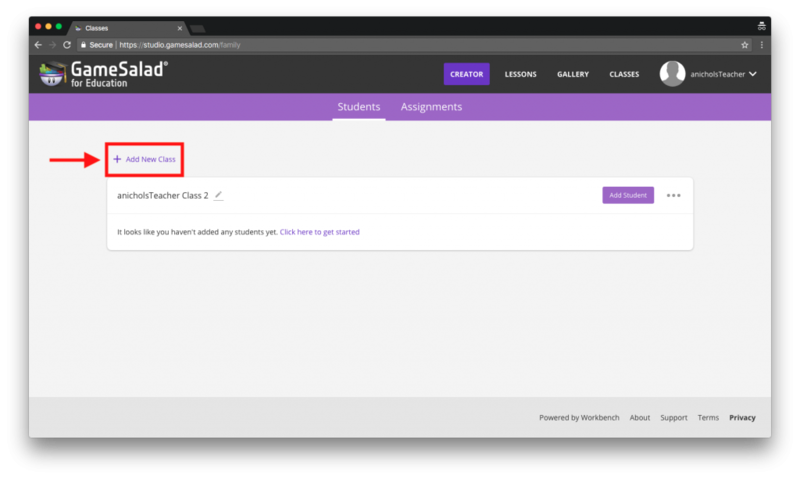 Once your teacher has added you to their class you should be able to click the Sign in with Google button again to login from now on! 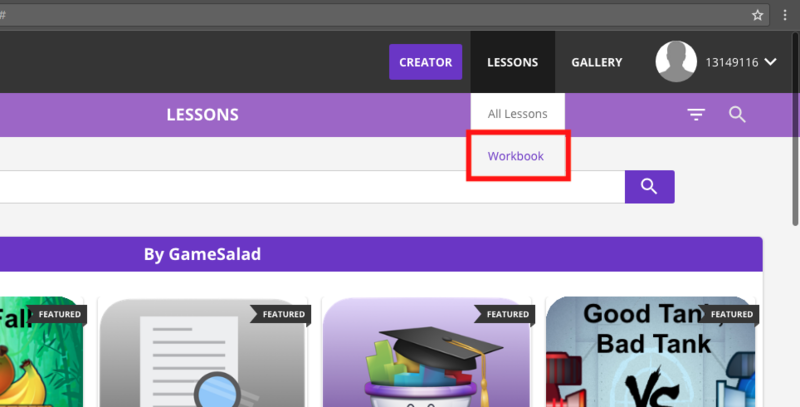 After you’re logged in, you can view the lessons assigned to you by your teacher by clicking on Workbook under the Lessons tab at the top of the page. 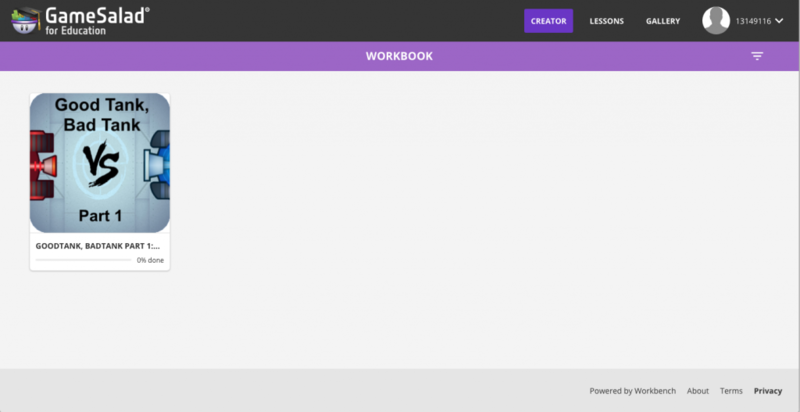 Here’s what an example Workbook that has Part 1 of the Good Tank, Bad Tank game assigned looks like.